The release of macroeconomic data, F&O expiry, foreign fund flows, and global cues are among the factors that may sway investor sentiment this week. The fiscal deficit data and infrastructure output data for the month of February is slated for a release on Friday. The March series futures & options contracts expire on Thursday and investors will roll over positions to April series. On the global front, British lawmakers are due later in the day to debate a government motion saying parliament has considered a statement made by May on March 15 setting out the government's next steps on Brexit, including the plan to seek a delay. Brexit had been due to happen on March 29 before May secured a delay in talks with the EU last week. Back home, stock-specific action, movement of rupee against the US dollar, and oil prices will be closely monitored. On Friday, the S&P BSE Sensex snapped its eight-day rally to end 222 points lower at 38,165. The broader Nifty50 index of the National Stock Exchange (NSE) ended below the crucial 11,500 level at 11,457, down 64 points or 0.56 per cent. 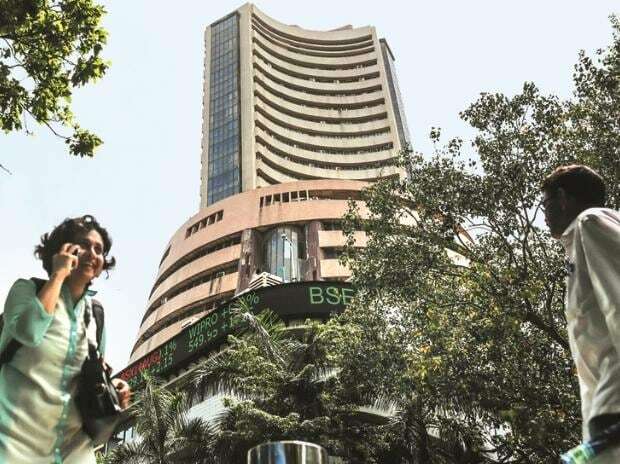 On a weekly basis, Sensex gained 0.36 per cent while Nifty added 0.26 per cent. Investors dumped shares on Monday and fled to the safety of bonds on growing worries about an impending US recession, sending global yields plunging. US stocks futures turned negative in early Asian trading with E-minis for the S&P 500 skidding 0.5 per cent. MSCI’s broadest index of Asia-Pacific shares outside Japan dropped 0.6 per cent to a one-week low. Japan’s Nikkei tumbled 2.9 percent, South Korea’s Kospi index declined 1.5 per cent while Australian shares faltered 1.3 per cent. Jet Airways: Additional seven aircraft grounded due to non-payment of amounts outstanding to lessors, according to reports. Moreover, the Jet Airways board on Monday will discuss a plan prepared by the lenders' consortium. SBI: The board gives an extension of validity period for raising Rs 20,000 crore from market till March 31, 2020, as per reports. Larsen & Toubro, Mindtree: L&T is learnt to have reached out to Mindtree founders through backchannel negotiations to explore a middle path that will not only help it in addressing Mindtree’s concerns but also in increasing the acceptance of its bid to take controlling stake in the firm. Tata Capital: The company will raise $100 million in foreign borrowings through an arm by next week. Amber Enterprises: According to reports, the firm has agreed to acquire 80 per cent stake of Sidwal Refrigeration Industries. Bharat Gears: The board has decided to issue equity shares on rights basis in the ratio of 1:7 at an issue price of ₹105 a share.